What are the dimensions of that swivel? They are Solar's size 8, about 38mm overall. Quite a bit heavier than standard size 8 swivels so for the most part I do not require any counter weight. @ post #16. Mick: The hook is a size 4 Gardner CRV. The eye is very well formed and unlike with other 360 Degree Rig hooks, I have never had an instance where the eye catches in the net. I think this is possibly due to the size of the swivel, which masks the eye totally. I have posted several pix on here showing LS Muggas and Fox Series 5 or LSC hooks with the eye covered with shrink tube, as both those patterns are prone to the eye catching in the net, as you have pointed out. As for the glare. Well all the carp I have landed while using Solar's ball bearing swivels don't seem to be too fazed by it, if indeed it exists! bought some of the CRV after seeing that pic on another thread Ken. 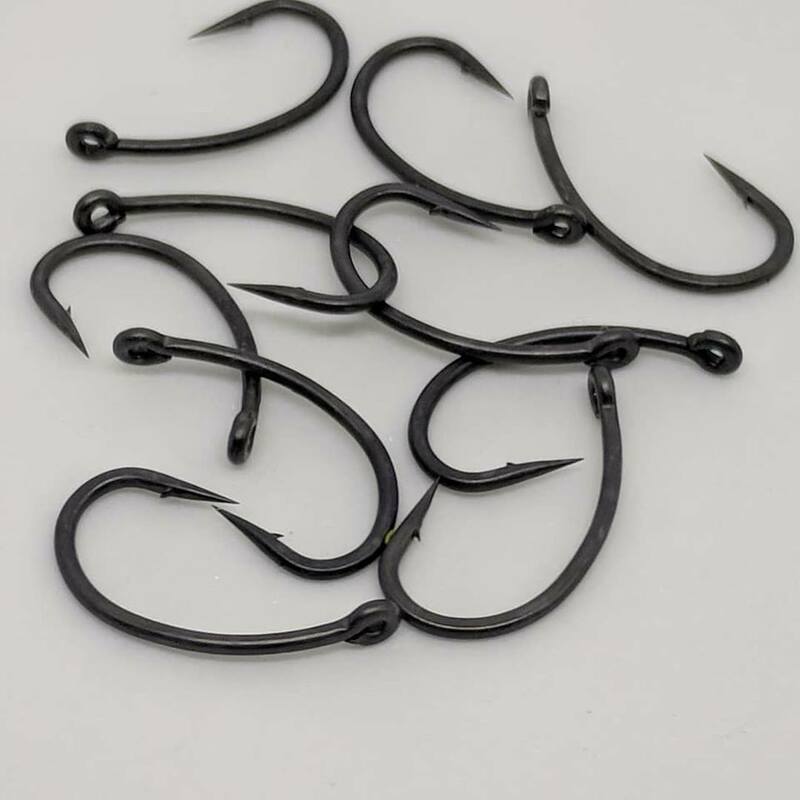 Have a look at the carptackleonline Scorpion Curve Hooks mate, they are super strong and super sharp, each hook is checked by hand before being despatched, been using then since May 2018 and cannot fault them and only �2.50 posted, there is no compromise on quality , just very reasonably priced. Gardner Mugga, or I think the pattern number was GP204 by Gamakatsu. ....Just like some of the really good NW mere anglers used to years ago. I use the ball bearing swivels also. Best on the market for spinner type rigs IMO. Brilliant on HSR where the swivel sits up on a loop so the counterbalance on the boom. I haven't seen many fish spook off things they can see......seen plenty spook off things they can't see but touch though..!! More glare there than a mirror ball down Flairs on a Friday night. Do those hooks have a closed loop already ? 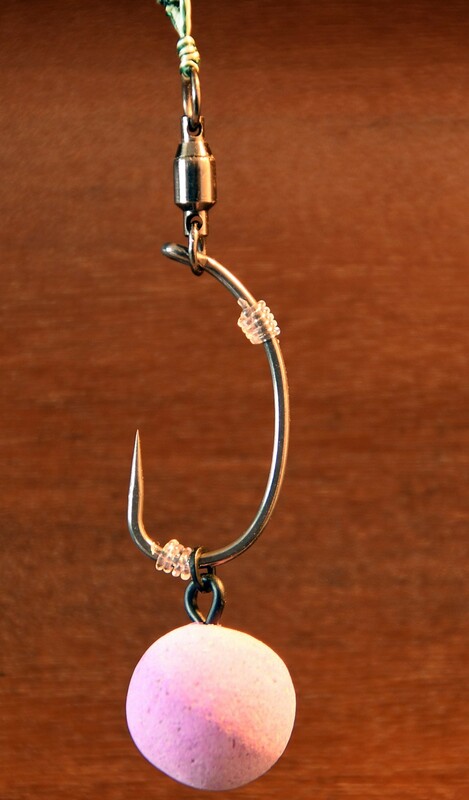 I use Muggas as well they are great hooks I use them mostly on ronnie rigs. I normally use Fang xs for 90% of my fishing. But looking at JB precision and the amount of good reports I have taken a chance and ordered a bulk of them. CRV is the best 360 hook I have ever used. Clearly muggas are going to be the one. Is it worth beefing up with the continentals for the river then? Muggas, or have a look at the long shank muggas. They are identical to the Carp R Us Longshank nailer I used for years, until the quality dipped. They have a long, very sharp point on them. The Mugga in a 4 is bombproof, don't go any smaller on a river in that pattern. The CVR mentioned by Elltel, I just had to google.... YES LEWIS, you do listen mate x... Nice box to keep the points sweet, and a heavy gauge wire for that curve shank hook! I'm quite set in my ways with hooks, and only use/order certain patterns. I will have some of those on the way this week, I love the look of them bad boys! Thank you Elltel!